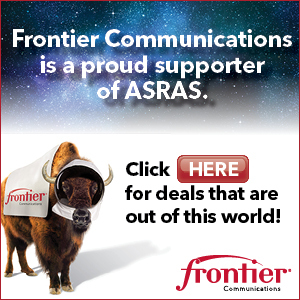 Here you can find recordings of ASRAS meeting on VIMEO that you can watch if you missed a meeting ! Club Business, first half of main talk: “The Physics of Star Trek”, by Donald Spector. Main Presentation: ‘The Physics of Star Trek”, part 2. Club Business, first half of main talk: Observing Young Planets and Stars – Joel Kastner. Second half of main talk: Observing Young Planets and Stars – Joel Kastner. Club Business, new people, observing, upcoming events, etc. ASRAS June 2018 Meeting Part 1 from Rochester Astronomy on Vimeo. ASRAS June 2018 Meeting Part 2 from Rochester Astronomy on Vimeo. ASRAS May 2018 Meeting Part 1 from Rochester Astronomy on Vimeo. Part 2 contains Dave Bishop’s Astronomy roundup – the year in review. ASRAS May 2018 Meeting Part 2 from Rochester Astronomy on Vimeo. ASRAS April 2018 Meeting Part 1 from Rochester Astronomy on Vimeo. RIT student present their Space Exploration projects. ASRAS April 2018 Meeting Part 2 from Rochester Astronomy on Vimeo. General Meeting 03-2018 Part 1 from Rochester Astronomy on Vimeo. NOTE : This video contains inappropriate and rude interruptions during the main talk. ASRAS would remind anyone watching this video that in future meetings such behavior will not be tolerated. General Meeting 11-2017 Part 1 from Rochester Astronomy on Vimeo. Q&A from the main talk, plus a talk on the Ice Cube Nutrino Observatory in Antarctica. General Meeting 03-2018 Part 2 from Rochester Astronomy on Vimeo. General Meeting 11-2017 Part 2 from Rochester Astronomy on Vimeo. General Meeting 10-2017 Part 1 from Rochester Astronomy on Vimeo. General Meeting 10-2017 Part 2 from Rochester Astronomy on Vimeo. General Meeting 09-2017 Part 1 from Rochester Astronomy on Vimeo. General Meeting 09-2017 Part 2 from Rochester Astronomy on Vimeo. 2017 RochestarFest – Thailand AP from Rochester Astronomy on Vimeo. RocheStarfest 2017 – Andy Chatman’s Astrophotography Adventures in Thailand. 2017 RochestarFest Tomo-e Gozen Camera from Rochester Astronomy on Vimeo. General Meeting 06-2017 – Part 1 from Rochester Astronomy on Vimeo. General Meeting 06-2017 – Part 2 from Rochester Astronomy on Vimeo. General Meeting 05-2017 – Part 1 from Rochester Astronomy on Vimeo. General Meeting 05-2017 – Part 2 from Rochester Astronomy on Vimeo. General Meeting 04-2017 – Part 1 from Rochester Astronomy on Vimeo. Rochester Astronomy General Meeting 04-2017 – Part 2 from Rochester Astronomy on Vimeo. General Mtg 03-2017 – Part 1 from Rochester Astronomy on Vimeo. General Meeting 03-2017 – Part 2 from Rochester Astronomy on Vimeo. General Mtg 01-2017 – Part 1 from Rochester Astronomy on Vimeo. General Mtg 01-2017 Part 2 from Rochester Astronomy on Vimeo. General Mtg 11-2016 Part 1 from Rochester Astronomy on Vimeo. General Mtg 11-2016 Part 2 from Rochester Astronomy on Vimeo. Gen Mtg 10-2016 from Rochester Astronomy on Vimeo. Gen Mtg 07-2016 Part 1 from Rochester Astronomy on Vimeo. Gen Mtg 07-2016 Part 2 from Rochester Astronomy on Vimeo.